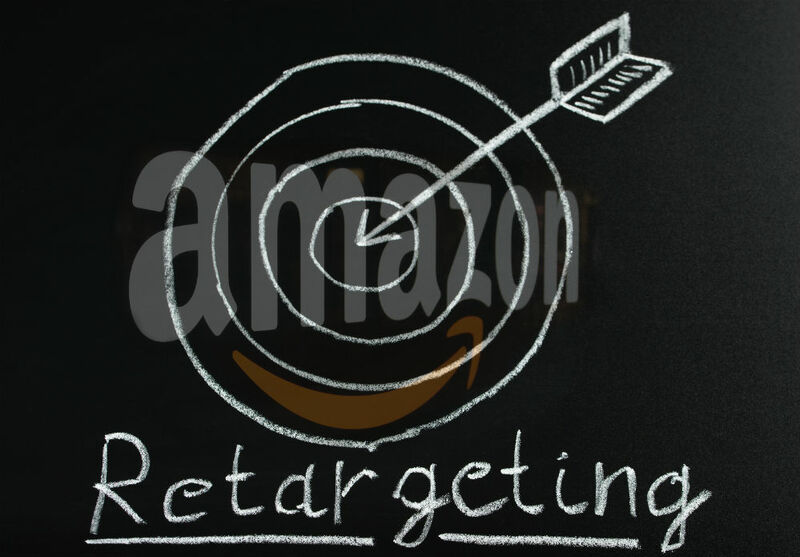 Most of us are familiar with retargeting advertising (aka “remarketing” if your’e a Googler). If you’re not familiar, it’s when you visit a website, and shortly after you visit another website and see ads for the previous website you just visited. Some people get freaked out by the idea. It seems stalker-ish or even an invasion of privacy. But it’s really not as bad as you think. When you visit a website that enables this sort of tracking, the browser stores a small file which it shares with another website. This file does NOT have any personally identifiable information in it and humans do not read these files. This file simply informs another website of what sort of ads it should run. Amazon is a popular culprit of this form of advertising. I recently discovered a new way that Amazon engages in retargeting and it’s a bit more worrisome. If you didn’t know already, Amazon offers an Amazon.com Rewards Visa Card. It’s a credit card hosted by Chase that offers 3% cash back on all Amazon orders and 2% on most other purchases. Recently, I made a purchase using this card. I bought a drink called “bai”. It’s a fruity, juice type of beverage, carbonation is optional. It tastes okay. But anyway, I had never heard of this beverage until the moment I saw it at the Bagel Bar in Kutztown, PA. I bought it, drank it, and went home. I did NOT look this drink up online at all, I didn’t Google it, or go to their website, or search it on Amazon. 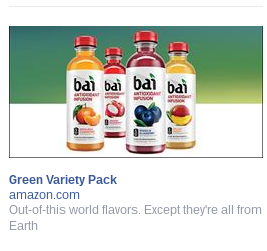 I couldn’t care less to do any research online for this drink, which is why I was extremely surprised to see the following Amazon ad on my Facebook page the next day. How else can you explain it? Also, it makes sense. Besides enticing people to become loyal customers through 3% cash back rewards, what other motive does Amazon have to offer their own VISA credit card? The answer is ‘ACCESS TO DATA‘. When you sign the terms and conditions, you are agreeing to let Amazon (or said card issuer) access to your history of purchases. Naturally, why wouldn’t they use that data? It’s smart, but it seems like an agreement made by an unsuspecting party. Creator of The Entreprenore and highly successful business guru. Got really good grades at one of the best community colleges in eastern Pennsylvania.